At Silver Maples we have a passion for life, our friendships, and for our neighbors. The Silver Lining Fund is an idea conceived by and for residents of Silver Maples. The goal of the Silver Lining Fund is to provide financial assistance to any resident who outlives his or her financial assets, ensuring they always have a home at Silver Maples. 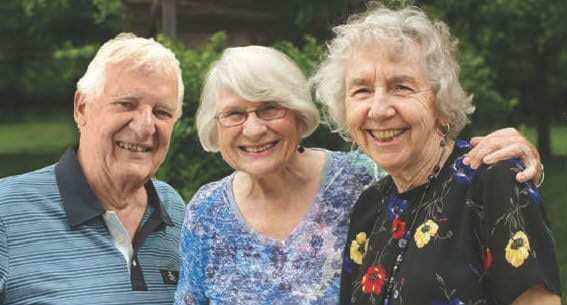 The peace of mind provided by the Silver Lining Fund is the heart of Silver Maple's mission: to excel at creating and supporting a positive aging experience. Your gift means that the Silver Lining Fund will continue to resonate for all Silver Maples residents in need; both today and tomorrow. Each donation to the Silver Lining Fund has a direct impact on an individual in need. Gifts can be made now, during your your lifetime, or through your estate. Gifts in honor or memory of loved ones are welcome. If you would like to make a donation by check or have any questions, please contact us.